This piece is written by Richard a content writer on the Blue Anchor team, covering topics relating to money, investing, business and finance. You might have heard about spread betting and the potential it has for allowing you to make money. It’s a popular form of trading, available in the UK and Ireland. Thousands of financial instruments can be traded via online trading platforms using spread betting. These include shares, forex pairs and commodities, such as oil. Traders buy and sell units that represent these instruments. They are speculating on the rising and falling value of different products. All that’s needed to get started is a deposit, an account and some knowledge of the method. Here we’ll examine four things you should know before you dive in. It’s quite common for new traders to lose their entire starting capital. This happens because they fail to educate themselves on the basics. A lot of traders have learned through painful experience and expensive mistakes. Beginners are overly enthusiastic about their new strategies. Committing too much money, too soon, on untested techniques leads them to make losses. With the right level of understanding and a plan, spread betting can be a way to make money online. It’s unique in that both rising and falling markets can be profitable. 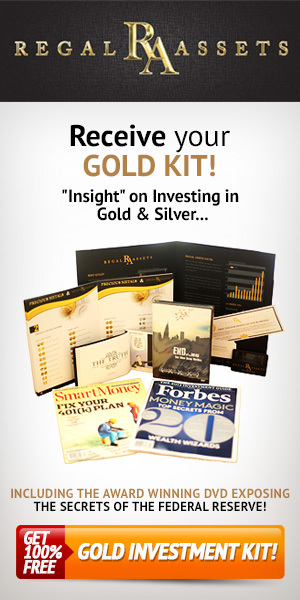 The good news is, most trading platforms have educational materials at your disposal. Above all else, you should learn about the markets you choose to bet on. Take time to study how spread betting works and the nature of the individual product you select to trade. That way, you have a better chance of making profits. Demo accounts enable you to practice with virtual money. Learn how to watch the media, create the right charts and analyse the markets. Start trading small, learn the ropes, then increase your bets. All traders are subject to stresses and emotions that will influence their decisions. A particularly good or bad day of spread betting may cause you to react. Either you’ll try to cut your losses or you’ll rush to lock in extra profits. The only way to stop short-term changes from upsetting your trading is to have a detailed plan. This is a collection of rules and limits you put in place to guide your overall strategy. It may outline your profit goals. It should also include the maximum potential leverage you will use, plus the types of trades you will make. Hard limits at which you will cut your losses are important. With spread betting, most platforms allow you to set stop-loss orders. These close out your trade once your asset reaches a set price, protecting any profits. Your plan should be built with flexibility in mind. Learn from any mistakes and update your goals accordingly. As part of your trading strategy, consider the amount of capital you want to invest in each trade. One advantage of spread betting is that it allows trading on margin. This means to open a trade, you only need to put in a portion of the position and the broker puts in the rest of the cash. It can be tempting to take undue risks, since you have access to this extra capital. But, you should remember that both profits and losses can be magnified with this model. Set a limit you’re willing to put in per trade. This should be low, at around one or two per cent of the total capital you deposit into your account. That way, your losses will be contained. Doubling or tripling your money every year is more realistic with this type of strategy. Another benefit of trading using spread betting is that in the UK and Ireland it avoids tax charges. This is because you never actually own the product you are trading, for example a share in a company. In turn, this increases your profit margin. Both capital gains tax and stamp duty are avoided. Lucrative s avings can be made if you are trading profitably. This also makes long-term betting on market indices a tax-efficient alternative. It can be used instead of direct investment in assets. You will have a similar upside when the market rises but no tax to pay. With the right level of understanding and a plan, spread betting can be a way to make money online. It’s unique in that both rising and falling markets can be profitable. If you live outside the UK, contracts for difference (CFD) is a mode that offers similar advantages. Keep in mind that CFD trading is not completely tax-free.